The Carbon Trust has launched a new multimillion euro project as part of its Offshore Wind Accelerator (OWA) programme to investigate best use of Wind Farm Controls to maximise energy production from offshore wind farms whilst reducing turbine loads. The Carbon Trust’s Offshore Wind Accelerator announced a new €2.3 million project, Wind Farm Control Trials www.carbontrust.com/offshore-wind/owa/demonstration/wfct/ (WFCT) designed to demonstrate how effective implementation of control strategies can reduce the cost of offshore wind. Optimising control strategies to reduce wake effects will lower the levelised cost of energy (LCoE) by increasing the total wind energy yield and reducing fatigue, thus saving operational and maintenance costs. Additionally the introduction of control strategies can also increase availability and extend the lifetime of existing and future assets. During the project, different methods of control will be used to optimise power production for the whole wind farm rather than maximising production of individual turbines. The turbine control will be altered by adjusting the blade angle of attack and rotation of the nacelle. 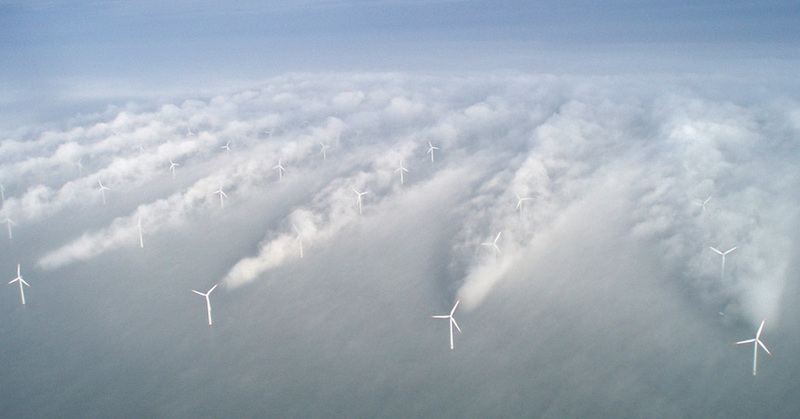 The WFCT study will be the largest and most comprehensive real-life demonstration of the impact of Wind Farm Control strategies on the overall performance of a wind farm. The project aims to build on previous simulation-based studies such as FP7 ClusterDesign, FLOW program, NREL activities and earlier studies by the OWA. Based on these previous studies and simulations undertaken, it is expected that adopting blade pitch or yaw-based WFC strategies would result in increase in energy yield of between 0.5 and 3.5 %. It is also expected to possibly enable load reductions of up to 50 % for some wind turbine components, meaning increased component life therefore reduced operation and maintenance costs. The project will seek to verify and validate these theories by implementing WFC strategies at an operational wind farm. The first stage of the project involves analysis to determine the most suitable wind farm test site for the trials and an optimisation of the control strategies. The selected wind farm will have extensive measurement equipment installed as part of the validation process for the simulations; including eight nacelle mounted Windar Photonics LiDARs, a scanning LiDAR and load measurements installed on individual turbines.